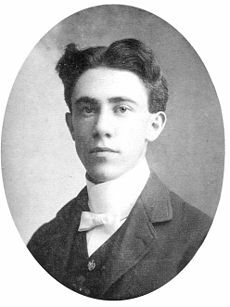 Frank Oscar King (April 9, 1883 – June 24, 1969) was an American cartoonist best known for his comic strip Gasoline Alley. In addition to innovations with color and page design, King introduced real-time continuity in comic strips by showing his characters aging over generations 1). 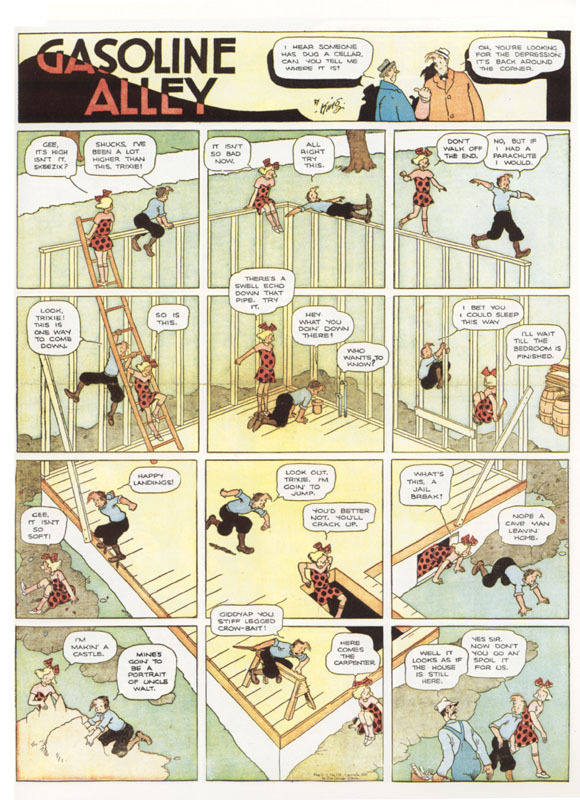 Gasoline Alley is a comic strip created by Frank King and currently distributed by Tribune Media Services. First published November 24, 1918, it is the second-longest-running comic strip in the US (after The Katzenjammer Kids) and has received critical accolades for its influential innovations. In addition to inventive color and page design concepts, King introduced real-time continuity to comic strips by showing his characters as they grew to maturity and aged over generations 4). The strip is still published in newspapers in the 21st century 5).